As DJI Drones are very technical and require a certain level of expertise to troubleshoot, we suggest that your contact the DJI Support Team directly for assistance. You can email them at support@dji.com. They will provide prompt support and in most cases, they are able to successfully resolve the issue. If you would prefer that your claim is handled by us, we would be more than happy assist with this. To do so, please contact our Support Team with a copy of your invoice, photos of your drone including any serial numbers and a video demonstrating the issue. This will ensure that your claim is processed as soon as possible. 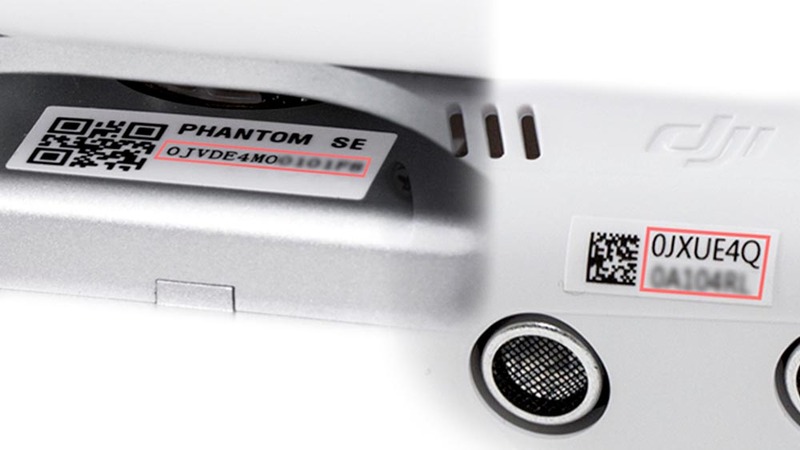 An example of the Serial Number is shown below. Each item may have multiple Serial Numbers, please be sure to check the item thoroughly and send us a photo of each one. Can I return my item? Information for Change of Mind returns and faulty items. Where can I find my product code/model number?